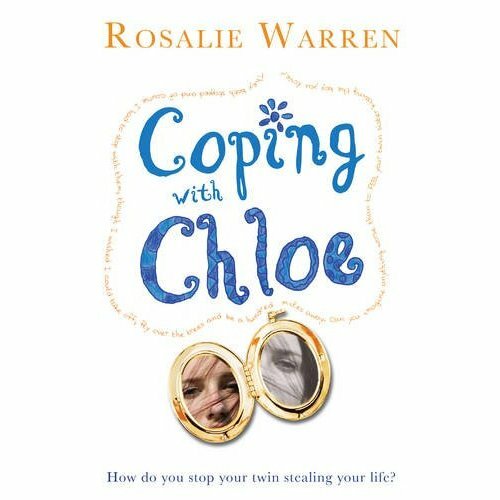 awfully big reviews: COPING WITH CHLOE by Rosalie Warren. Review by Miriam Halahmy. 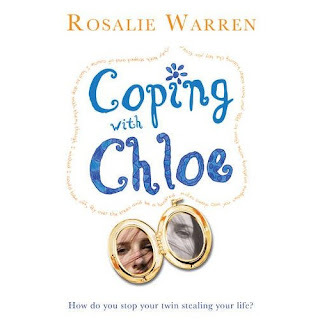 COPING WITH CHLOE by Rosalie Warren. Review by Miriam Halahmy. Twelve year old Anna has a twin called Chloe and they are very close. They do everything together, even after the most terrible accident. Dad has moved in with another woman and Mum seems very self absorbed. No-one is interested in how Anna is coping and even Chloe is not always around. At school her friends have abandoned her and this leaves a clear field for the class bullies to move in. Who is going to stick up for Anna now that Chloe has changed her earthly presence? Then gorgeous new boy, Joe, joins the class and the temperature rises amongst the girls. Anna assumes he will be interested in anyone but her. However, Joe brings with him a host of problems which match Anna’s any day and draws them together. Coping with Chloe is a novel about being a twin and about coping with losing someone who couldn’t be closer. But it is also about life on the cusp of the teenage years with all the pressures of keeping up with fashions, peer group pressure, the competition for boys and coping with family life. As the novel moves towards its crisis and we are drawn more and more into Anna’s rapidly changing world, Joe’s life also reaches breaking point. Written with humour and acute observation this is a novel which will absorb any reader from the age of ten to adult. Rosalie Warren deals with some deep and difficult issues in a sensitive and accessible way while maintaining a light touch throughout. Thoroughly recommended. I’m looking forward to the sequel. Thank you, Miriam, for your lovely review. I'm so glad you enjoyed my book. Apologies. I was rsihing off for a short holiday or I would have topped or tailed this post with the information that Miriam Halahmy came visiting as an Awfully Big Reviews Guest for this review. Thank you, Miriam. Oh dear. Rushing or "rsihing", take your pick. Am only just back so words aren't in the usual place in my head or typing hand.